When a colleague in politics and journalism 35-years ago urged me to consider employment at a recently founded college of naturopathic medicine, written information of any kind to inform my decision – much less scientific matter – was hard to come by. I was pointed to content relative to the field’s emergence a century ago – back issues of “Nature’s Path” and a book by a key naturopathic influencer, medical doctor Henry Lindlahr, MD. They shared two issues from a failed Quixotian effort to start a scientific journal the year the school was founded. 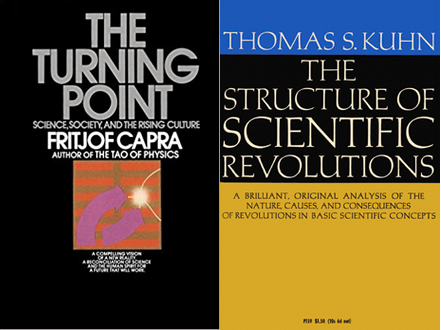 They suggested I read Fritjof Capra’s The Turning Point: Science, Society and the Rising Culture and referenced Thomas Kuhn’ The Structure of Scientific Revolutions. This virtual null set of readily available scientific literature 35 years ago came to while considering the arrival of the first special issue of a peer-reviewed and indexed journal to focus entirely on naturopathy’s scientific output. Cards on the table: the character and passion of the college leaders on the hiring team rather than any written materials led me to take that job in December of 1983. I worked a decade in the field’s maturation. I also had a hand in the special issue. Australian researcher and naturopath – as they are known there – Amie Steel, ND, PhD, MPH – approached me in 2017 with the idea. Steel knew the background that birthed me into integrative health work and that I presently serve as JACM’s editor-in-chief. I was a soft target for her idea. Steel’s request was timely. Naturopathy had just established a relationship with WHO as the World Naturopathic Federation (WNF). A new global web of relationships was forming, including the International Naturopathy Research Leadership and Capacity Building Program at the UTS Australian Research Centre on Complementary and Integrative Medicine (ARCCIM) where Steel and her special issue co-editor Jon Wardle, ND, PhD, MPH were based. Wardle is also WNF general secretary. To wire in the physician-level North American branch, Ryan Bradley, ND, MPH joined the team. Bradley is an NIH-funded researcher and naturopathic physician with appointments at Helfgott Research Institute, National University of Natural Medicine, and at University of California, San Diego. With this team, we developed a call for papers and pushed it out to every naturopathic research or education network we could find or create. What would come in? The value of the review is broader. The NDs have a distinctive challenge in proving their worth. Studies on needles can increase uptake of acupuncturists and of manual therapy, chiropractors. The genius and research challenge in naturopathy is in the joint application of multiple natural therapies concurrently – or, in many US states, integrated with conventional pharmacy. Naturopaths are to research on whole systems what pigs are to breakfast in the joke about the differing contributions of chickens and pigs to breakfast. Whole systems research is not a contribution but must be an all-in commitment if the profession is to thrive and distinguish itself. 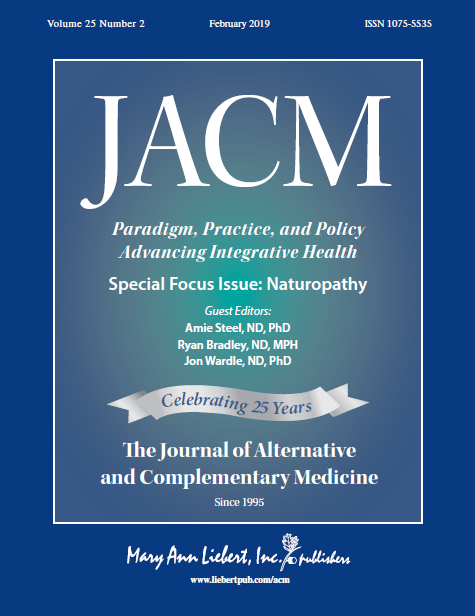 Myers’ review offers signposts and other directional indicators, though hardly a road map, for the broader field of integrative practitioners when and if it ever stands up to its paradigmatic requirement to of convince funders to prioritize researching the way an integrative or functional or TCM of Ayurvedic or indigenous or naturopathic professional practices. The JACM Special Issue includes two commentaries on the field’s scientific evolution. In “The Early Movement for Research Evidence in Modern Naturopathy: Fighting Above Its Weight Class,” I provide a personal account of the US profession’s boot-strapping toward its evidence base – their first peer-review publications, research departments, NIH grants, and key scientific appointments. One key step was an important one for the evidence based of all of natural health care. The 1985 production of the edited volume The Textbook of Natural Medicine by naturopathic doctors laboriously collected and linked to specific conditions any English language scientific references from any nation or era on natural healthcare products and practices. It was game changer for the broader natural medicine field. A raft of other such textbooks, compendium, dictionaries and encyclopedias from others outside the profession followed. The question for anyone not nose-under in the stink-hole of anti-natural medicine bias was no longer whether natural medicine had scientific support. Rather questions could turn to the quality and gaps in the evidence. In the second account of research contributions to more recent professional development, Canadian WNF leader Iva Lloyd, BScH, BSPP, ND, and Wardle share the survey-based research WNF leaders are using to knit together the profession’s disparate Indian, European, South American and North American streams. “World Naturopathic Federation: The Central Role of Research in the Growth of the Global Naturopathic Profession” also provides the list of 20 nations that presently regulate the field. By design of the guest editors, each paper in the issue is either by naturopathic researchers, or about the naturopathic profession, or both. The call netted roughly 30 papers, of which 14 were selected. Contributions from researchers associated with the International Naturopathy Research Leadership and Capacity Building Program at ARCCIM figure heavily. It will take an act of imagination – and likely of empathy – for anyone ensconced in the riches of a conventional North American academic research institute to understand the historic, scrappy and relative institutional poverty informing the labors that led to this moment in time in which this issue can be published. Perhaps a sign of better-resourced times ahead is that within weeks of sending this issue to the printer, word arrived of a $10-million grant to fund a naturopathic research institute in an Australian academic institution.